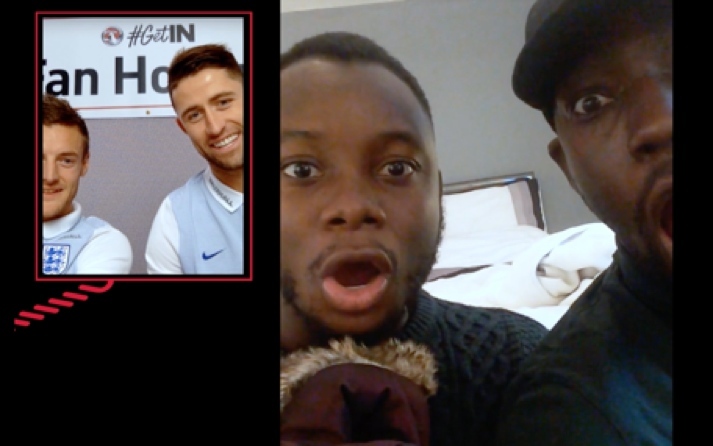 Vauxhall brought in international footballers including Jamie Vardy and Gary Cahill to call up competition winners on FaceTime, thanking them for their support. The Vauxhall Fan Hotline featured two players from each of the home nations, with England’s Cahill and Vardy joined by Hal Robson-Kanu and James Chester (Wales), Darren Fletcher and Robert Snodgrass (Scotland) and Northern Ireland’s Josh Magennis and Michael McGovern. Fans were encouraged to enter the competition as part of Vauxhall Motors’ #GetIN campaign. Launched earlier this year, the campaign began with a nationwide hunt for the ultimate goal celebration ahead of the Euro 2016. Andrew Curley, head of sponsorship and events at Vauxhall Motors, said: "As official sponsor of the Home teams we were delighted to surprise these dedicated fans with their national heroes – giving them their own #GetIN moment. "#GetIN is about rewarding fans for their unwavering support as we build excitement ahead of Russia 2018. It’s not every day you come face to face with your footballing heroes." Ordered by FIFA world ranking, as of 24 November 2016.